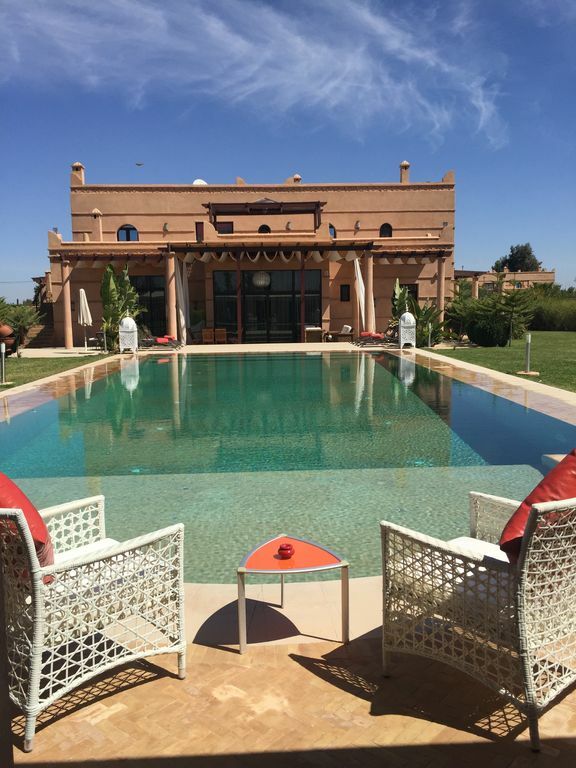 (Text automatically translated) conveniently located, quiet, comfortable, Discount for long stay, Large terrace of 150 m2, recent construction in a site opposite the snowy Atlas Mountains, neat, close to restaurants, Aqua Park, golf and decoration nightclubs. (Text automatically translated) regional cuisine of atraction park 800m, SPA, horse riding, Ski rental, rental bikes and quads. tarif dégressif en fonction de la durée, acompte/arrhes à la réservation.